Hotelopia promotional code 2019 - 6% discount off all hotel rooms! Booking server Hotelopia has just released their brand new promotional code in 2019. You can now simply save some decent money when using service of this hotel rooms booking website. With their new discount code you may save 6% off all hotels in all destinations that are offered within Hotelopia network. This discount code can be applied to bookings in travel period till 31st of December 2019. 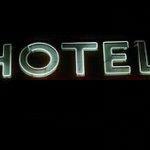 To apply this Hotelopia promotional code simply follow to their website. When booking just choose your hotel room and proceed to next step where you fill in your personal details. Right below you can find separate “Discount code” box where you would need to enter below promotional code. Click apply and your accommodation will be instantly discounted by 6%. There is no minimum purchase required, only limitation is this free Hotelopia UK discount code 2019 applies to accommodation only. As mentioned you should be able to use this promo code in travel dates till end of December 2019 however we have not managed to find out what is the validity of this voucher. Using this Hotelopia discount code is possible till end of April (DE) and end of May 2019 (UK). For further details, to read full conditions of this Hotelopia promotion or in case of booking please visit their website directly. Booking sample of successfully applied Hotelopia UK discount code 2019 saving decent 6% off your hotel room accommodation booked through this booking server below. In this case you would stay in hotel Red Roof Garden Inn in New York. You would check in on 24th of October 2019. You would stay 7 nights and check out on 1st of November 2019.